This classic Espey is covered in custom dyed Mercurial Grey Elaphe snakeskin with Bronze mineral powder hand applied after, giving the clutch an etherial look. 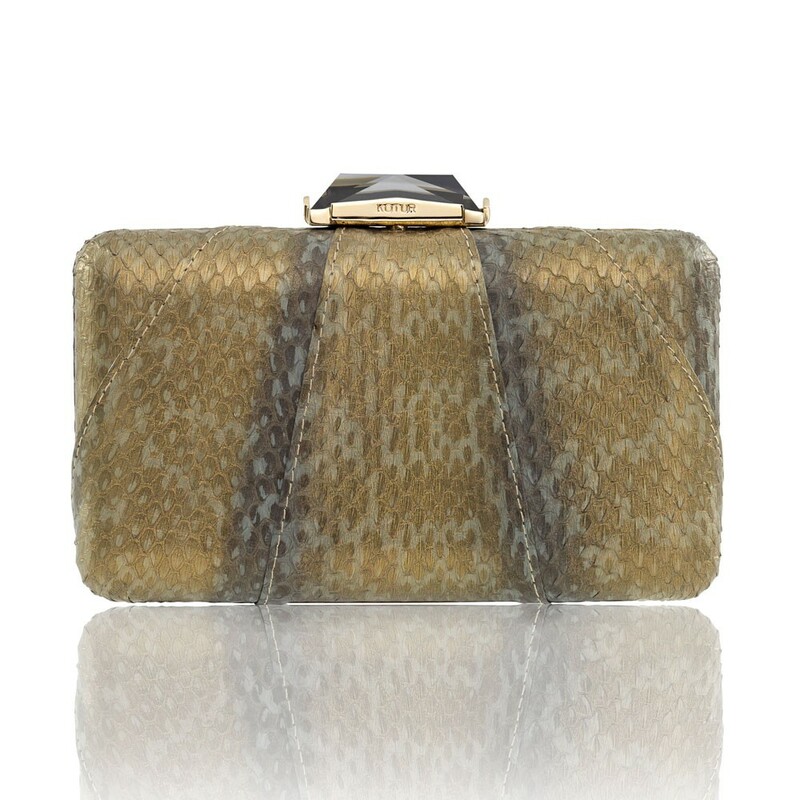 Featuring a Brass box casing that is covered by snakeskin, with a faceted clasp, KOTUR's signature brocade lining and a 30 cm drop-in shoulder chain. This compact minaudiere will fit evening essentials and an iPhone 6+.